← Just for a few…. After my Blackberry went through the washing machine in February, I had to make a few decisions. I had two cell phone contracts. One with Verizon and one with AT&T. I know, I know. That’s one too many. The second contract with Verizon was for a business cell. I hadn’t been with that “business” since December. The contract had 22 months left on it but I was compelled to cancel. I’d had the same cell number since 2001 so that phone number and contract won out. And later on, when the AT&T contract renewed, I could get an iPhone. If I really wanted one. Initially I was torn. I’d been a Blackberry gal forever. Forever. Now I can’t believe there was even a question. I went to the Apple Store yesterday and bought an iPhone. I’m so excited to have a phone that did not come over on the Mayflower. I’m excited to have my contacts in one place. 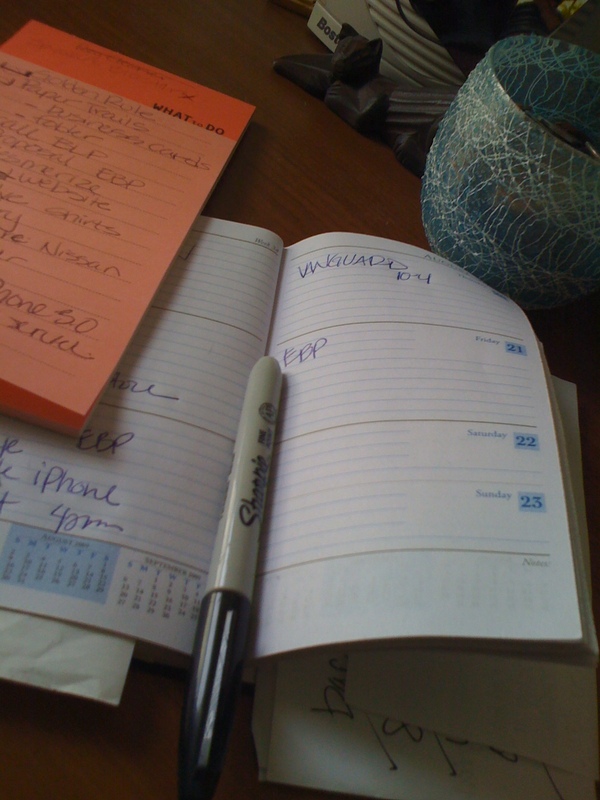 I’m even more excited to have a calendar and “to do” list somewhere other than on paper. Pardon me, I’ve got to go. I have a huge hole of online data I need to fill. I’ll see you sometime next week. 1 Response to August already? Whooo! You're going to love it. And what I left out of the app email was this: TwitterFon is the best Twitter app there is. You can try the free version first; if you like it, spring for the deluxe model. Eliminating those ads is worth the money.